Here they are! – the results, listed in order. Congratulations to everyone who took part despite the dreadful weather!! Thanks to Roy and John for organising the event, and for working out the results. Also thanks to the team at Hawne Basin for a great welcome at the finish line. Posted in News, Rallies. Tagged BCN Society, BCNS, BCNS Marathon, Birmingham, Birmingham Canal Navigations, Boating, Canals, Marathon Challenge, Rally. BCN Society 2014 Programme now out. Next years programme is now out – the full detail is in the diary section. We have a treasure of speakers for the meetings on the first Thursday of the month (and let’s ignore the fact that these meetings look as if they are two day events – this oddity is a “work round” to deal with the idiosyncrasy whereby one day events are automatically deleted at midnight of the day before). Then we have our rallies – the first Explorer Cruise opens this years boating events, These cruises are a great way to get to know the BCN in the company of other boaters. Relaxed, and friendly, with plenty of time to explore the area. The second Explorer cruise leaves from the pumphouse after the rally, – finishing on the weekend of the Marathon Challenge. The Marathon Challenge is altogether more energetic – how much of the BCN can you cruise in 24 hours cruising. A fun competition – where enjoyment is as important as winning. And again, the Bonfire Rally closes the years boating events – however more of that later, as we have yet to have this years. Download the BCNS Bonfire booking form 2013 here. Posted in Meetings, News, Rallies. 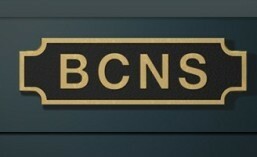 Tagged BCN, BCNS, BCNS Marathon, Inland Waterways, Narrow Boat. Posted in News, Rallies. Tagged BCN, BCNS, BCNS Marathon, Birmingham Canal Navigations, Dudley, Dudley Tunnel, Fazeley, Walsall ca, Walsall Canal.